Freeman Technology are known for their expertise and knowledge in the field of powder testing, having commercially introduced the technique of dynamic powder testing in the late 1990's. Freeman have now developed a new instrument, the Uniaxial Powder Tester, which offers a simple, effective and economical alternative to dynamic testing. AZoM spoke to Tim Freeman, managing director of Freeman Technology, about their new powder tester and the industries it will benefit most. Can you start by telling us a little bit about powder testing. Who uses powder testers and what for? Powder testers are used across the entire manufacturing cycle – from R&D through production into final QC - in a diverse range of industries, from bulk powder handling, to food and pharmaceuticals. A substantial number of products are sold in powder form, and even those that are not often pass through an intermediate powder phase - an estimated 80% of all pharmaceuticals are handled as powders at some point, for example. So, when we talk about powder testing it is important to appreciate from the outset that there are many disparate challenges to be met – depending on the specifics of the sample, the drivers in the industry and the problem being addressed. 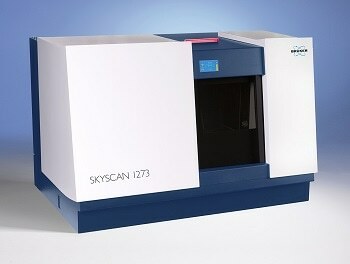 A manufacturer of metal powders for additive manufacturing may be working to ensure the product consistency required for certified application in a biomedical or aerospace application, while a generic drug developer may be trying to understand how to match the aerosolisation performance of a reference dry powder inhaler. Both could be applying powder testing to help, but their requirements are distinctly different. That said, there are unifying themes in powder testing, such as an interest in the way in which the powder flows. It is fairly obvious that powder flowability influences the ease with which a tablet blend fills a die, but equally importantly flow characteristics elucidate the performance of processes such as blending, conveying and fluidisation. Freeman are known for introducing dynamic testing in the 90's. Can you explain what dynamic testing is and its industrial value? Dynamic testing, as its name suggests, involves measuring the powder in motion. The instrument we developed to implement dynamic testing - which has evolved into today’s FT4 Powder Rheometer® - measures the axial and rotational forces acting on a blade as it is precisely rotated through the powder sample. Dynamic testing was developed specifically to address the need for data to solve industrial problems and I would highlight two critical ways in which it remains unrivalled in this regard. Firstly, dynamic testing can be applied to powders in a consolidated, moderate stress, aerated, or even fluidised state, so test conditions can be chosen to closely simulate the process environment. And secondly, it offers exemplary sensitivity. This is because dynamic testing is an inherently sensitive method, but also because test methodologies are well-defined and automated. Since our introduction of dynamic testing we’ve learned more about its strengths and we’ve also come to appreciate more fully the complementary nature of other techniques. Consequently, the FT4 now incorporates biaxial shear testing and bulk property measurement capabilities. This means that it can be used by customers to apply a multi-faceted battery of tests to fully understand powder behavior. This is extremely valuable for rigorous product and process development and optimization. And now you’ve introduced a new tester with a new technique. What is uniaxial testing? That’s right - we have just launched the Uniaxial Powder Tester (UPT), an innovative stand-alone device for uniaxial powder testing. 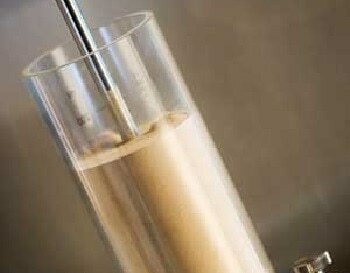 Uniaxial testing is a very simple technique that, in summary, involves measuring the stress required to break or fail a consolidated column of powder. 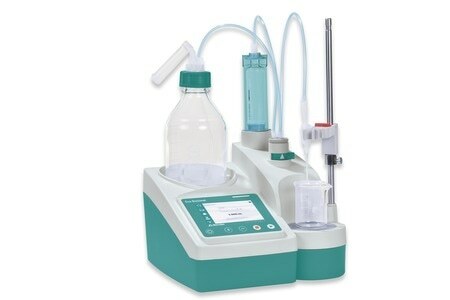 It directly measures the uniaxial unconfined yield strength (uUYS) of a powder as a function of a preconsolidation or major principle stress (σ1). This is a term that those familiar with powder testing will immediately recognise as the same as that derived in a less direct way by translational/rotational (biaxial) shear testing. What made you decide to design and commercialize a uniaxial tester? Uniaxial testing is not a new concept and the principles behind it are readily appreciated if you work with biaxial shear cells. Practical implementation has been a longstanding challenge but the inherent simplicity of the technique has very strong appeal for industrial testing. Several years ago now the engineering solutions required to implement uniaxial testing began to crystallize and it became clear early on that uniaxial testing presented a commercially compelling proposition that could fulfil needs for powder testing that weren’t currently being addressed. Freeman Technology now has many years of accumulated experience of powder testing, including extensive knowledge of shear cells, and we entered into a highly productive collaboration with our colleagues at the University of Edinburgh, DuPont and The Chemours Company, has helped to bring the project to fruition. Why now? 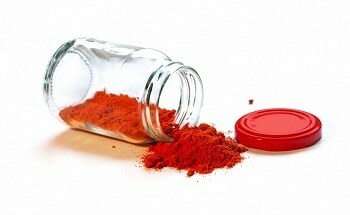 Why is improved powder testing becoming more necessary? In today’s highly competitive markets it is becoming increasingly difficult to tolerate a mediocre manufacturing efficiency. As a result, there is often acute awareness if current operation is sub-optimal and attempts may be made to rationalise and address poor performance using the analysis techniques available. 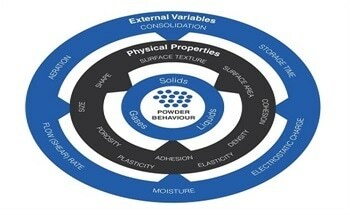 In powder processing, such analyses often include particle sizing or simple flowability measurements. When these fail to highlight a solution, the question arises – what to try next? Many of the people we speak to know that they have a problem with powder flowability and want to carry out some relevant testing, but others are less clear and looking more broadly for a solution to try to understand more about a processing problem. In both cases there is clear application for a cost-effective, at-line, robust powder tester that generates process relevant data. Can you outline some of the difficulties of powder testing and how these have influenced the design of your new tester? A unique feature of powders, relative to gases and liquids, is that they carry with them their processing history. For example, a sample extracted from a pneumatic conveyor may be fully aerated. If it is left on the benchtop, entrained air will be released at a rate determined by the properties of the powder. 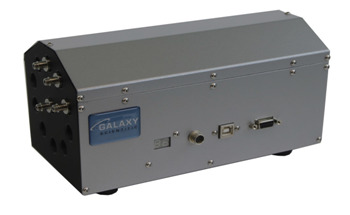 The result obtained from a powder flowability test will, as a result, depend on how easily the powder releases air and the length of time between sampling and measurement. This effect is often the underlying cause of the poor repeatability associated with many powder testing techniques and it is why dynamic test methodologies incorporate a sample conditioning step. This step essentially eliminates the effect of processing history and ensures that every sample is measured in the same homogeneous baseline state. Preparation is critical with uniaxial testing too, the most challenging aspect of which is the construction of a uniformly consolidated, free-standing powder column. One of the key features of the new instrument is its ability to apply double-ended compression to ensure homogeneous consolidation of the powder sample. This feature makes an important contribution to repeatability and ensures that a wide range of powders can be measured, even those that are relatively free-flowing. How does uniaxial testing compare with the established method of shear cell analysis as a routine testing technique? Uniaxial testing therefore ranks powders in terms of their cohesivity in the same way as biaxial shear cell testing, though the absolute values of unconfined yield strength measured by the uniaxial tester (uUYS) are a little different. We’ve investigated this effect with a range of powders and, in general, uUYS values are marginally lower than the equivalent UYS values. However, for comparative testing in the process environment, uniaxial testing has some really valuable advantages. Firstly, equipment costs are low - prices start at £5k for a manual tester and £10k for an automated version, compared with >£10K for a biaxial shear cell tester. Secondly, measurement times are short – around 5 minutes– and training requirements far less onerous. These add up to a substantial benefit in industrial applications. Who do you think will be most interested in the new technique and why? The price, simplicity, repeatability and speed of uniaxial testing make it especially suitable for QA/QC – either at the production line or in the lab. We also expect it to be of interest to industries with a low cost base, such as bulk solids handling, that struggle to justify investment in a more expensive tester. It may also prove of value to sectors where there are clear limitations in the techniques that are currently used, but no alternatives have yet been identified. How do you see the use of powder testing changing over the next decade? There is evidence to suggest that powder testing will evolve in two quite different directions over the coming decade. On the one hand, it is clear that rigorous, multi-faceted characterization is going to be essential as we seek to control powders in increasingly exacting ways - to develop continuous manufacturing processes in pharma, for example, or to 3D print components ranging from bones to tablets. On the other hand, it can be argued that a fairly modest extension of simple powder testing as a routine tool within the manufacturing environment could significantly improve QA/QC and, by supporting the effective diagnosis of processing problems, enhance manufacturing efficiency. This further penetration of powder testing relies on being able to make repeatable, relevant measurements at an accessible cost. What major challenges remain in the field of powder testing? A crucial task is for us to collaborate more effectively – powder processors and instrument suppliers - so that the powder testing capabilities we already have can be fully exploited by industry. It is vital that processors working with these challenging materials are aware of exactly what can be measured and how it might help. 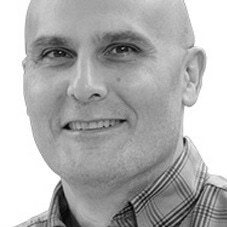 Equally importantly, those of us working to innovate new powder testing techniques and instrumentation need to thoroughly understand the problems that are being encountered and the information needed to solve them. A key issue here is clarity regarding the process environment and the conditions that it subjects the powder to, in order to be able to more effectively simulate them. These are substantial challenges, as so many aspects of working with powders are, but much progress has been made over the last decade or so, and there is no doubt that our ability to extract value from powders is increasing as a result. Further advances in powder testing and their enthusiastic uptake will ensure that this trend continues. Tim Freeman is Managing Director of powder characterisation company Freeman Technology for whom he has worked since the late 1990s. 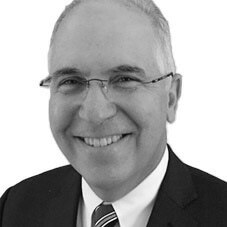 He was instrumental in the original design and continuing development of the FT4 Powder Rheometer® and through his work with various professional bodies, and involvement in industry initiatives, is an established contributor to wider developments in powder processing. 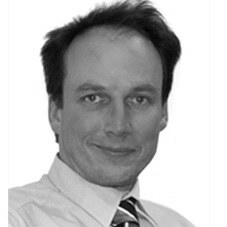 Tim has a degree in Mechatronics from the University of Sussex in the UK. He is a mentor on a number of project groups for the Engineering Research Center for Structured Organic Particulate Systems in the US and a frequent contributor to industry conferences in the area of powder characterisation and processing. A past Chair of the American Association of Pharmaceutical Scientists (AAPS) Process Analytical Technology Focus Group Tim is a member of the Editorial Advisory Board of Pharmaceutical Technology and features on the Industry Expert Panel in European Pharmaceutical Review magazine. Tim is also a committee member of the Particle Technology Special Interest Group at the Institute of Chemical Engineers, Vice-Chair of the D18.24 sub-committee on the Characterisation and Handling of Powders and Bulk Solids at ASTM and a member of the United States Pharmacopeial (USP) General Chapters Physical Analysis Expert Committee (GC-PA EC).